Have you taken a picture of a scene that captures the essence of what makes the Downriver community a great place to live? 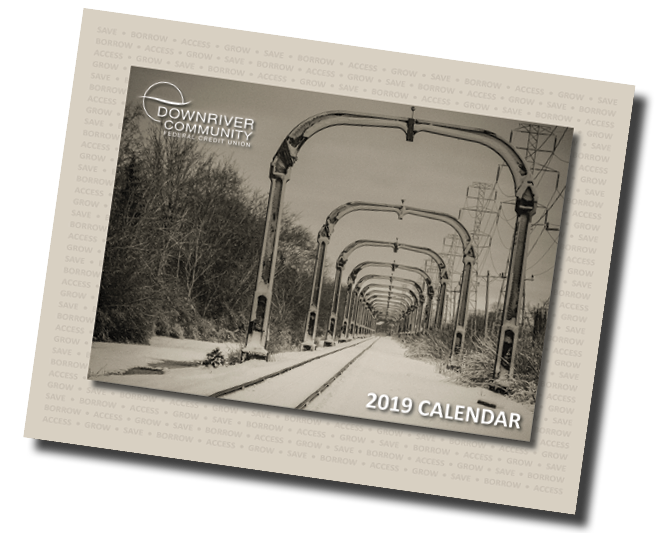 Submit your photograph to the Downriver Community Photo Contest and your photo could be chosen for our 2020 Downriver Community Calendar and may even be used in various DCFCU communications (i.e. website, social media sites, press release, lobby displays, etc.). Landmarks from any of the 18 Downriver cities and townships that are served by Downriver Credit Union. Seasonal scenes (Winter, Spring, Summer, or Autumn). Photographs should be "Distinctly Downriver"...in other words, anyone familiar with the Downriver community should recognize the landmarks, scenes, or features of the picture as being from the Downriver area. Please Note: We usually get a lot of "riverfront" pictures, so to stand out and have a higher chance of being included, look for pictures all over the Downriver area, including the 18 different cities that we do business. Photo requirements: Photos should be submitted in a digital format (using the link below) and should be no smaller than 1200 x 933 (300 px/inch). Limit of 1 entry per person per season (winter, spring, summer, autumn)--with a total of 4 entries submitted.